It is the dream of every American sport’s fan to attend the Super Bowl at least once in his or her lifetime. The cost for most fans is usually prohibitive, as attendees have to vie for hotel rooms that are sometimes booked years in advance and pay for airfare where discount priced seats are impossible to find. However, the biggest challenge and expense for those wanting to attend the Big Game is finding and purchasing tickets to the game itself. Face value for Super Bowl tickets increases almost every year. The first Super Bowl in 1967 didn’t even sell out, with average ticket prices of $12. In 2008, the face value for a Super Bowl ticket is $700. The NFL allocates 36% of all Super Bowl tickets to the rest of the thirty teams that didn’t make it to the Big Game (or 1.2% of tickets per team). On average, a season ticket holder for a team not going to the Super Bowl will have about a 1 in 150chance to buy a pair of tickets at face value. The NFL runs a semi-secret (or at least not blatantly announced) lottery each year in which 500 names are picked out of a hat for the rights to buy a pair of Super Bowl tickets at face value the following year. This usually occurs between February 1st and June 1st of each calendar year, and details are posted on the NFL’s official website in advance. If fate is on your side, you may be able to purchase tickets from an individual ticket holder. These ticket holders are usually season ticket holders of some NFL team that won the Super Bowl lottery who aren’t planning to attend themselves and instead want to make a serious profit on their investment. 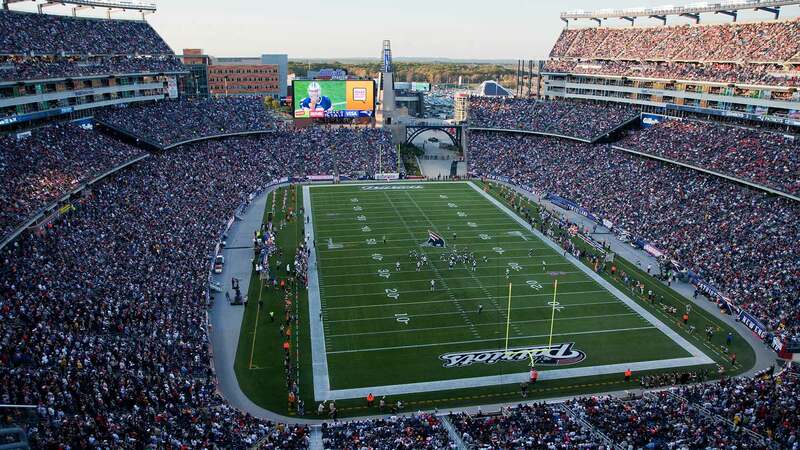 Tickets are usually sold in pairs, with tickets in the upper end zone starting around $2,000/each ticket and going up to $5,000-$7,000/each ticket for seats in the lower middle of the field or club/VIP seating. If money is no object, consider using a ticket broker. This is someone who serves as a middleman between the winning season ticket holders and the individual looking for tickets. A big advantage of using a ticket broker is that you have some recourse from fraud the tickets turn out to be counterfeit. Ticket brokers also offer attractive packages that wrap up the whole Super Bowl experience into a big bundle, including airfare, hotel, airport and hotel transfers, tickets to the game, tickets to pre and post parties, etc. These package deals can range in price from $5,000/ticket to $20,000/ticket. The NFL allocates about 25% of all Super Bowl tickets for corporate sponsors and official NFL charities. Most corporate sponsors dole out tickets internally and unless you work for these companies, it doesn’t benefit you at all as someone looking to purchase a ticket. further, most tickets given to NFL-sanctioned charities are auctioned off at extremely high prices, usually 10 to 20 times face value of the tickets, far exceeding even the most extreme ticket broker’s transactions. All transactions must be done with cash, so carrying thousands of dollars around in cash can be a dangerous activity in and of itself. Tickets can be counterfeit, and if they are, you have no recourse. Tough luck rules apply. Scalping/Buying scalped tickets may be illegal in the city you’re in. So you could end up having to spend Super Bowl Sunday in jail without even a television set. Watching the Super Bowl in person is definitely a once in a lifetime experience. However, even if you were one of the lucky few who had the opportunity to purchase tickets for face value, there are still many other related costs that you have to factor into the game experience, which may make you think again before you splurge on this event. First of all, if and your significant other were somehow able to acquire tickets at face value ($1,400 total), you would still need to get to the stadium. Depending on where you live, this could set you back $400/person give or take a little, for airfare($800 total). You also need to reserve a hotel room, which can run around $500 a night for a room for two people, since prices are at a premium on such a special weekend. In addition, three nights is the minimum for most accommodations. ($1,500 total). When you add up all of these expenses, you can expect to spend close to $4,000 for two people to go to a game for a few hours. Consider the fact that for the same $4,000, you could easily watch the game in the comfort of your own home on a new 52” screen HDTV, lounging on a brand new leather couch and loveseat, and you’ll still have more than enough money left over to pay for catering your own Super Bowl party, too! Better yet, the TV and couch will come in handy next season as well, so you’ll get lots of mileage from this investment. If this option sounds tempting, see – What it Costs to Hire a Caterer and instead of researching ticket brokers, consider planning a menu and doing some furniture shopping.